Send A Message To Ann. Ann has been practicing professional counseling for over 20 years. She holds three degrees and numerous certifications in many counseling areas. She has practiced in schools, churches, businesses and private settings. 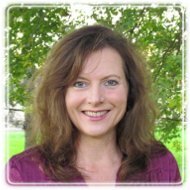 She is an active member of the Ontario Association of Counsellors, Consultants, Psychotherapists and Psychometrists. Ann has also presented professional workshops and seminars to psychologists, educators, therapists, counselors and social workers on cutting edge research and training programs in the depression and anxiety fields. Ann is committed to helping individuals, couples and families find hope through their difficulties including ADHD, divorce, separation, marital challenges, depression, anxiety, addictions, burnout, stress and anger management, eating disorders, grief/loss and finances. She has restored a sense of hope, empowerment, belief and balance to many families and individuals over the past years which has resulted in great relief and a positive transformation of people’s lives. Ann also has been successful in giving her clients life coping skills and resources to help then navigate through other future challenges. Ann believes that by requesting for help, people have taken the first big step to help remedy the situation. By doing so, the client acknowledges that there is an issue and is receptive to help and intervention. Ann uses real life personal experiences, current research, case histories, humour and immediate practical coping strategies to give the client a sense of empowerment. Ann, herself, has gone through her own personal tragedy, heartbreak and loss making her more empathetic and realistic about future outcomes, processes and solutions. She believes that the past can offer invaluable learning but it does not need to be a “hang up” preventing clients from moving forward in a positive and productive manner. Ann is very experienced and comfortable in working with all cultures and ages. In your first appointment as a client, you will be welcomed into a quiet, peaceful, relaxing and professional atmosphere. Privacy and confidentiality is of the utmost importance and will be protected. You will never be judged, only heard, accepted and cared for. This will be known as a “safe place”. Issues, topics and goals will be dealt with in a realistic, meaningful, attainable and a practical manner. Ann will become your supporter, encourager and advocate as she helps you navigate your way through new possibilities, lifestyle avenues and options. The pace at which you would like to proceed is determined by you. Small assignments and workbooks are an option in order to reduce costs and expedite the healing process. Ann is a very strong believer in the mind, body and soul connection. Ann views the physical, emotional and mental healing as an all-in-one package. This is a primary focus for Ann in her therapy processes. Ann believes that marriages and family relations can be difficult in these hectic and busy times. Ann has experience with many types of crises, traumas and issues during her 20 years of counseling experience. Ann demonstrates confidence, perspective and wisdom in working with issues such as extramarital affairs, dysfunctional relationships, violence and abuse, budgeting, marital strife, separation, divorce recovery, finance, addictions, anxiety and depression. Regardless of the complexity of the issues, people can work through the process given guidance, tools, skills, direction and encouragement. Through this process clients develop a “hope filled” perspective and attitude which empowers them to move forward. Ann believes that therapy is far cheaper financially and emotionally than other legal processes or giving into defeat. Ann has three children and a super dog. Ann enjoys a close relationship with her family and feels the world can be a happy place for people given the proper help, guidance, encouragement and support.